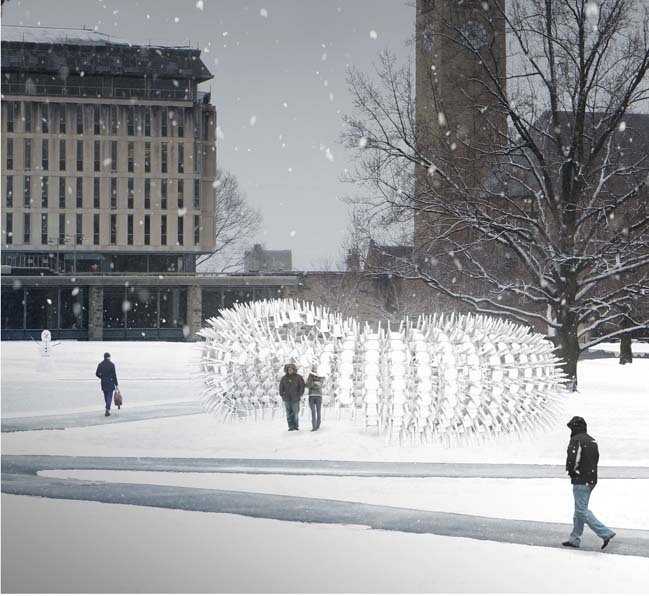 Urchin is a recyclable pavilion designed by Ithaca- & Brooklyn-based architecture firm CODA. 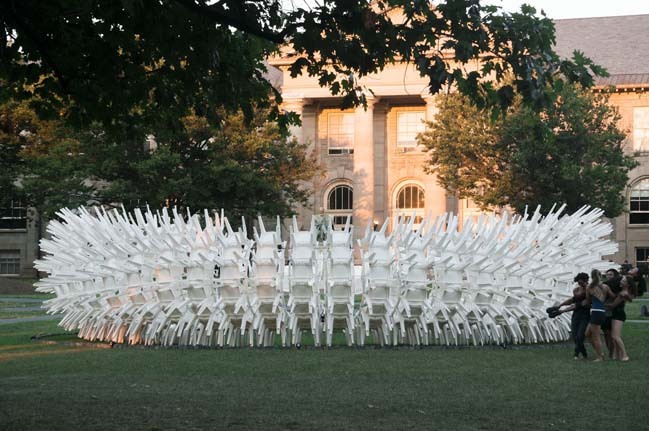 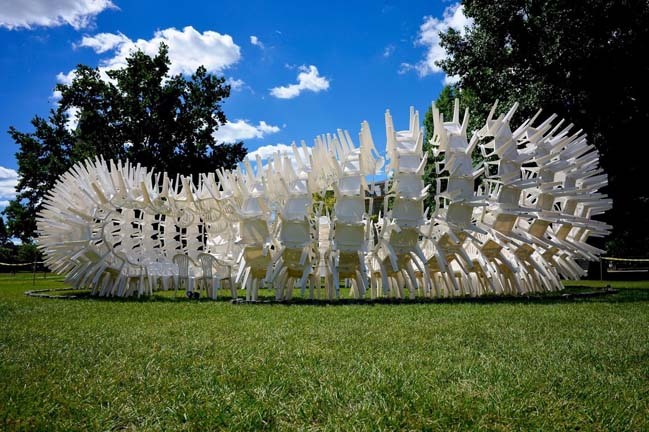 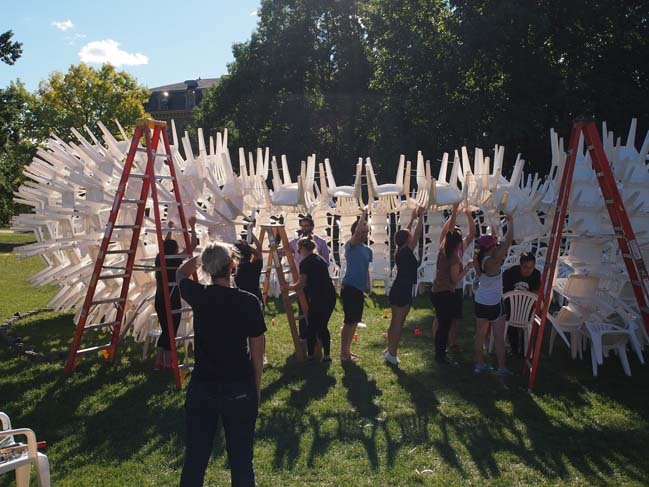 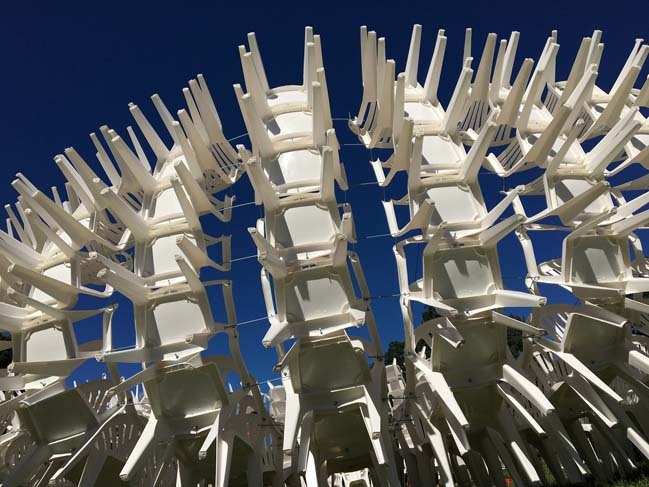 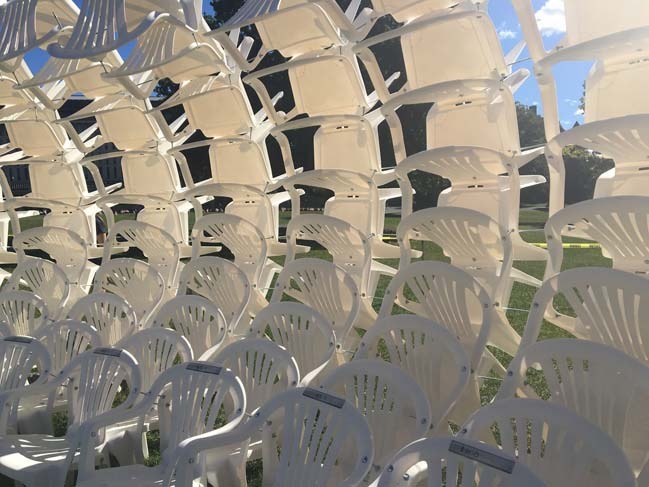 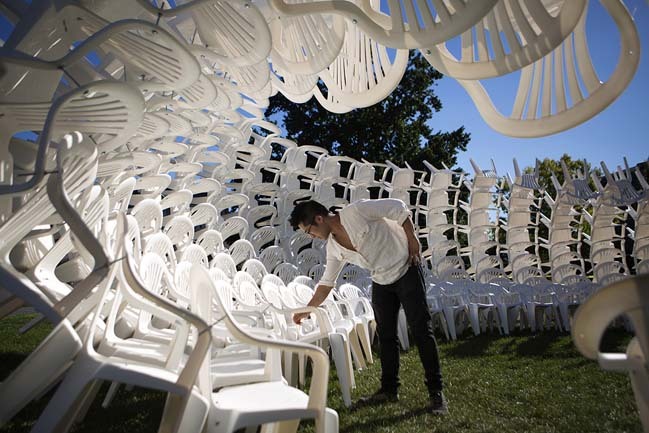 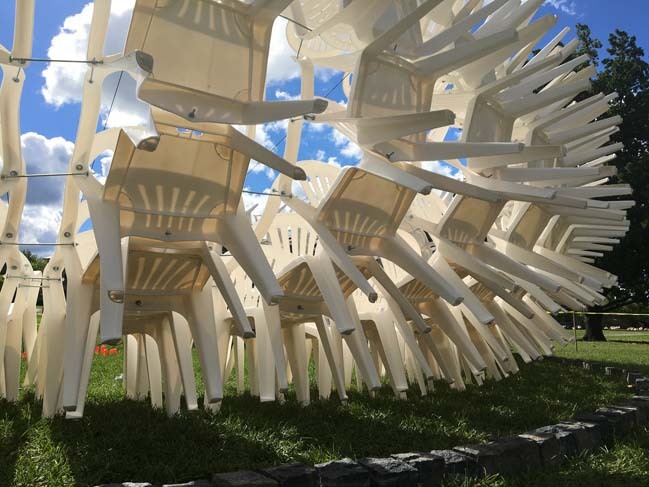 The project was built from 500 borrowed plastic chairs. 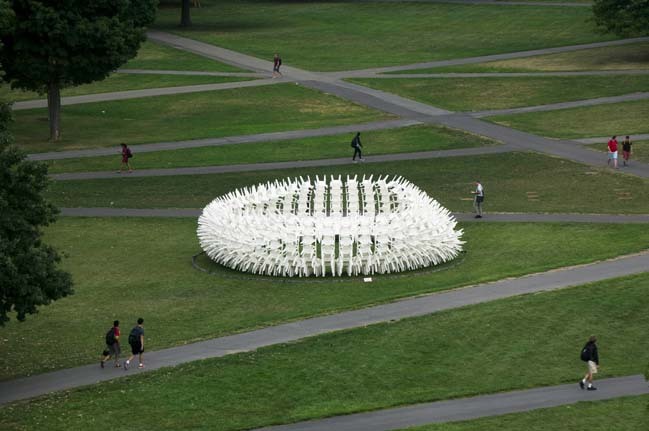 Project's description: Urchin aims to question the role of the everyday object: from the typical use that ‘affords’ sitting to an aggregation that becomes skin-like: the object’s features are no longer understood in terms of their use (legs, arms, seat) but in terms of their form (spikes, curves, voids) as, due to their rotation away from the ground, they lose their relationship with the human body. 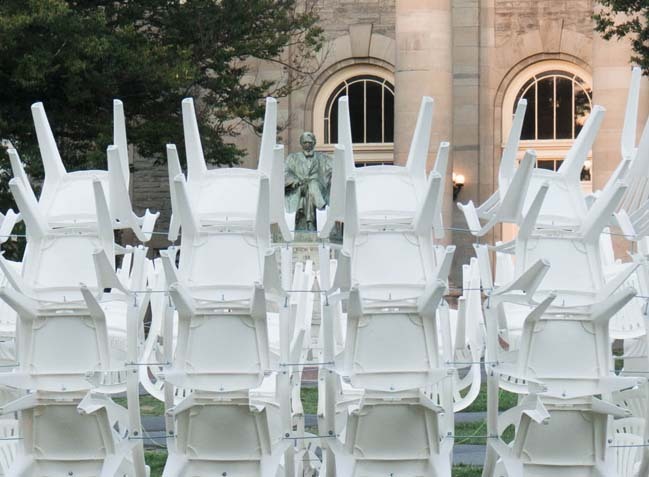 Dipping down in response to the statue of AD White, the pavilion allows the seated figure of one of Cornell University's founders to enter into the (impossible) circus. 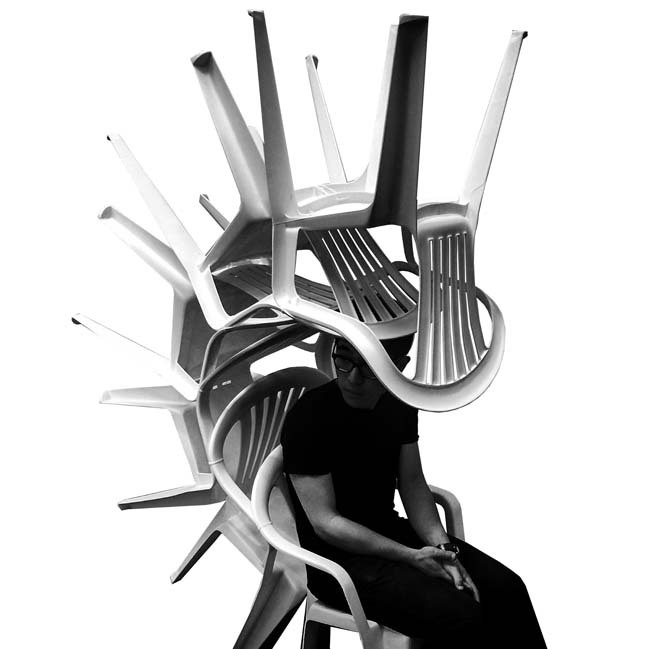 No chairs were harmed in the production of Urchin, and they will be returned to circulation afterwards. 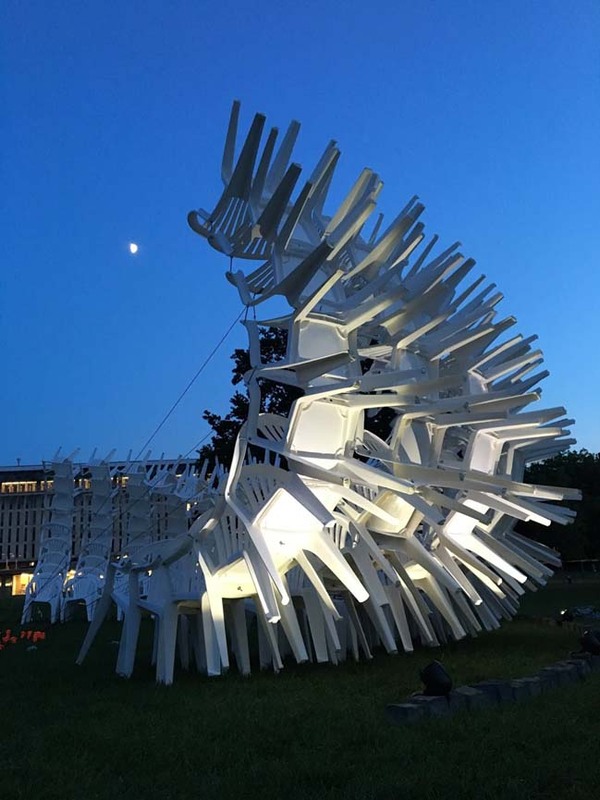 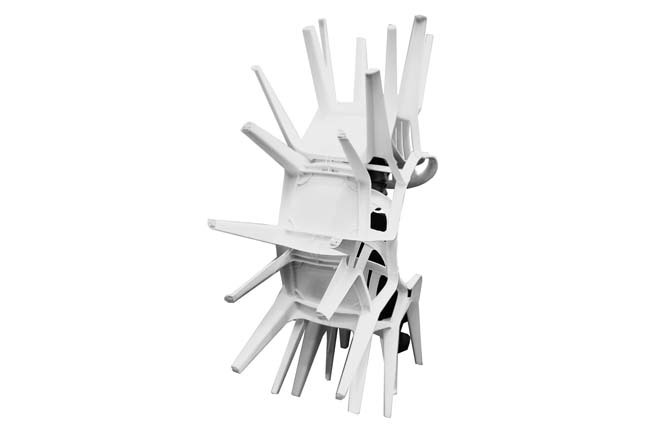 ​Urchin plays with the question of usefulness and uselessness by the manipulation of the simple chair, and consequently our perception of the chair and the connection between our bodies, the chair’s components and their orientations. 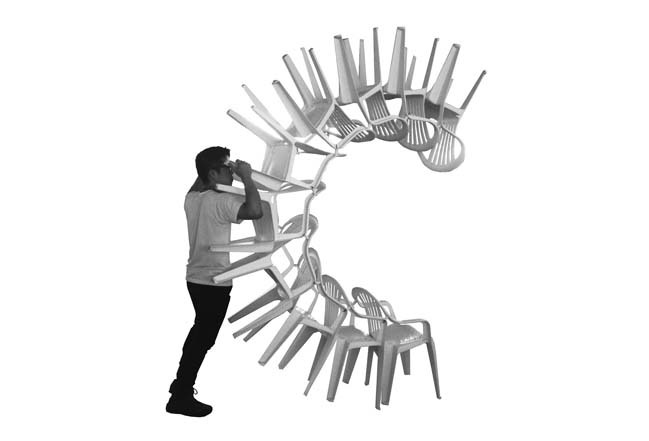 The question of use as a primary perceptual phenomenon is a product of James J. Gibson’s Theory of Affordances in his Ecological Approach to Visual Perception. 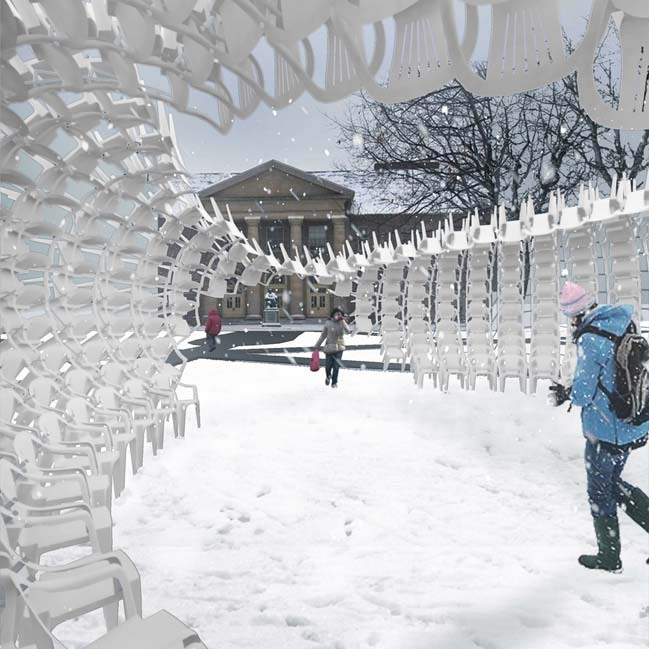 The project aims to provoke the questioning of usefulness and perception from the scale of the individual chair unit to the scale of the pavilion.